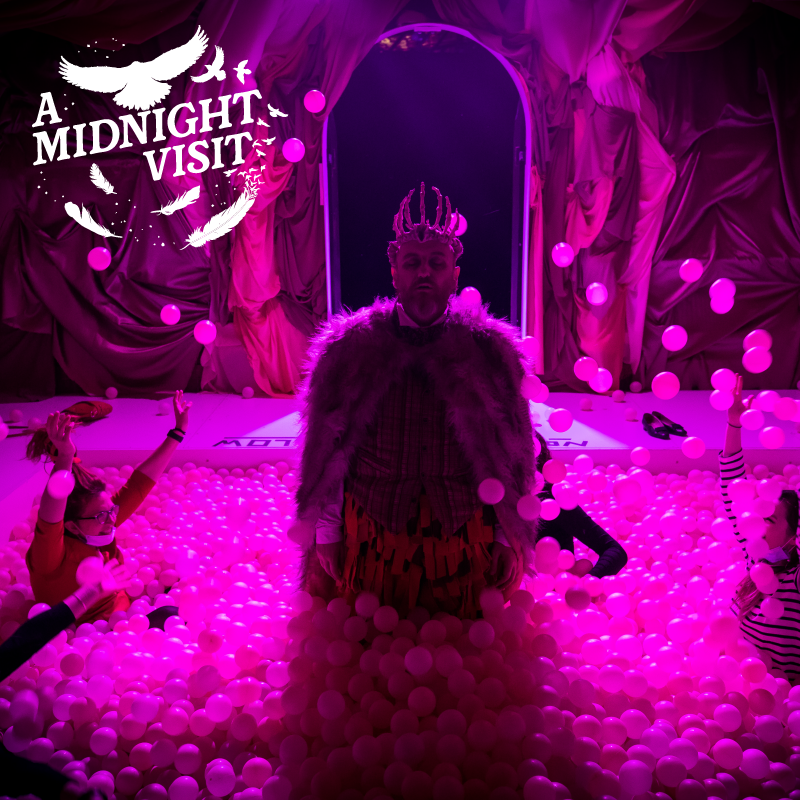 If you want to take your Fringe World 2019 experience next level for a different kind of experience, then A MIDNIGHT VISIT at the Girls School is an interesting place to start. While you are waiting on the Headmistress, perhaps you would like to step this way? The Girls School’s most troubled young ghost, Lizzie Reid, invites you on a journey to the edge of madness. Be seduced by your imagination and explore a dreamworld of shadows, guilt, foreboding and impermanence – conjured from the grave through Lizzie’s obsession with the grandfather of gothic horror, Edgar Allan Poe. Part choose-your-own-adventure, part film-set, part playground; A MIDNIGHT VISIT takes over the Girls School direct from its sensational debut in Sydney. A performance experience like no other, audiences will encounter strange characters, thrilling scenes and macabre splendour as they sojourn through the institution’s corridors and rooms. Flirting with the surreal and the absurd, while oozing steampunk, Stranger Things and David Lynch vibes, this is your chance to enjoy a hedonistic night out of a very different, dark and decadent variety. Your escapade starts well before you arrive, with a note from the Headmistress that lands in your inbox. Rather than set the scene fully, it offers tips for getting to the school, including parking as well as a dress code of sorts. Basically, you are asked to dress appropriately as you may choose to venture into spaces that involve clambering, wriggling and even crawling. You’re also asked to leave anything that may weigh you down at home or in the cloakroom. This includes your phones. For opening night, it also included an invite to hit the red carpet (which was actually black) and a session at the bar 30 minutes prior to starting. I must confess, if I wasn’t already anxious having had to cloak my bag and phone before commencing (who else feels naked without their phone? ), being separated from my partner-in-crime aka hubby in the first five minutes almost did me in, as did the black surgical masks you are asked to don before entering. While I would love to give you a blow by blow report of what actually went down… one word… spoilers. Knowing what’s coming, I believe, would take away from your experience. I will say, I was a little confused at first as to what we were supposed to be doing purely down to the level of detail offered up in the first room I ventured into. As a rule, I generally like to know the point of things up front and have a plan of attack that I can live with, so I’m making the most of the situation and not missing out. It took me a good five minutes to leave that control freak way of thinking behind and just go with the flow or as is the case here, lack of flow to choose my own path and adventure. This is more of an immersive experience than an interactive one, although there are aspects of interaction throughout the night. There’s a lot to see and experience and if you leave when given the option part way through, you will miss different aspects that come into play at different times and areas. Or out to play, as the case may be. While more than a little nerve-wracking at times, it’s not nearly as scary as I thought it would be but that perhaps is just me. There were a couple of participants that seemed overly anxious, almost to the point of a panic attack, at different points. There were also a couple of paths I waited for others to venture down before attempting myself and I was happy to play witness to the ball pit (pictured) rather than participate. There’s something about ball pits that creep me out. No end. With the pop-up bar situated in the quadrangle of the school, you could certainly make a rather interesting night of it. Not for the faint-hearted or anyone with mobility issues because the stage aka labyrinth is set over I believe 3 levels with stairs to maneuver. It was hard to tell the full extent, it just seemed to go on and on and on. There’s also strobe lighting, smoke effects, loud noises, adult concepts, uneven floor surfaces, small spaces, low-level lighting and a whole lot of fun to be had in what is essentially a choose your own adventure. I believe I somehow managed to explore all rooms, nooks and crannies as well as experience most of the incredible talent by way of roaming performances on offer. Interestingly, I did find myself dancing, clambering, wriggling in tight (for me) spaces and even crawling. There’s only one thing that would make this experience better and that’s if it kicked off at midnight.